Good morning! 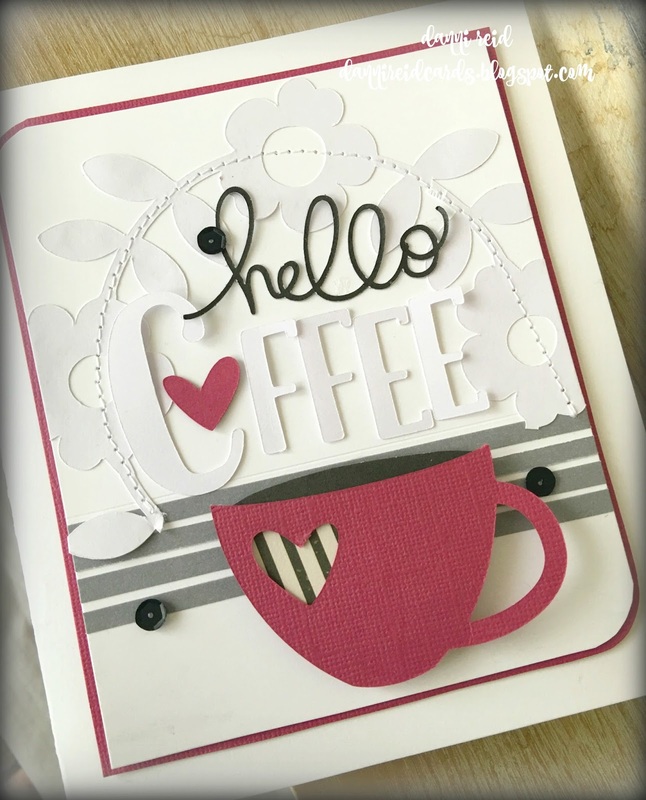 I’m back today with my card for this week’s challenge at Inspired By. This week’s challenge was really fun and inspiring. The DT gave lots of interpretations and projects and they’re all amazing, definitely check them out! At first glance I thought I would stick with the circles but then as I took time to look again, I decided that there was way more to be inspired by (in addition to the circles). At first, the cheesecake kinda made me draw a blank but then it came to me... what goes more perfectly with dessert than coffee? (I don’t need dessert or any excuse to drink coffee, but I digress....smile). 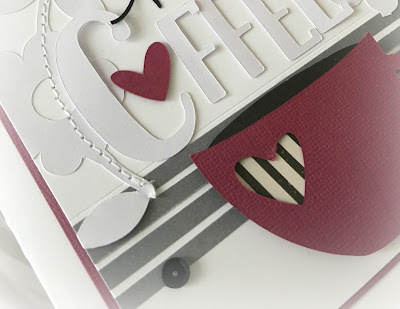 So I decided on a coffee theme (I give lots of coffee gift baskets and cards, and it’s always great to have cards or tags on hand to do so). I wanted to really stay true to the colors since it’s a big focal and the fork kept sticking out to me so I decided I needed to add stripes to represent the tines of the fork. Lots of things in this one inspired me and I really look forward to seeing how it inspires all of you! 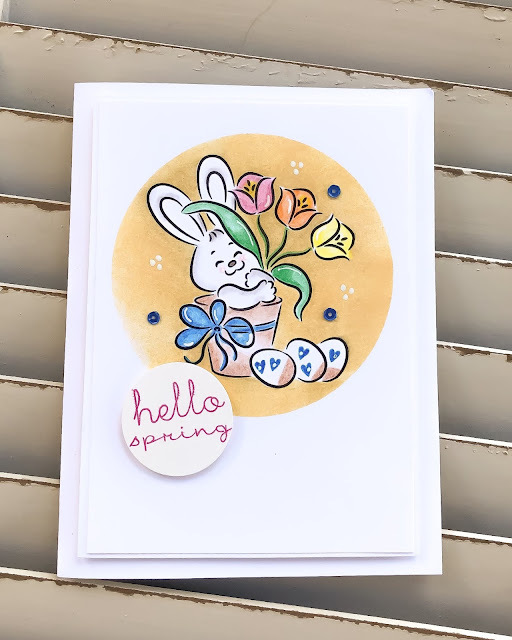 I hope you’ll hop over to the blog, check out our awesome guest designer and play along with us this week. 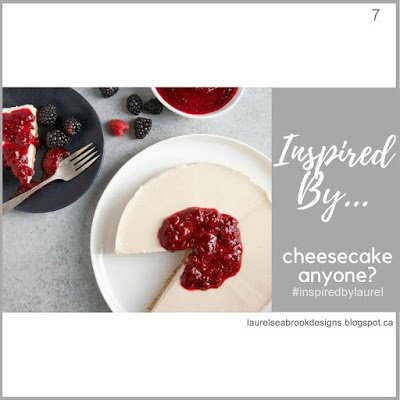 What a fun take on the inspiration! Love it! Wow--love this! The stitiching, the arch, the gray lines...and of course, beloved coffee! Yum! 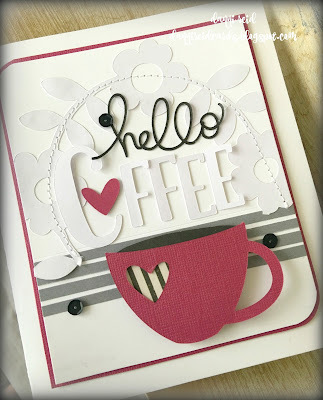 I love coffee and I love red and I love this! Your details are amazing...that stitching is boss! 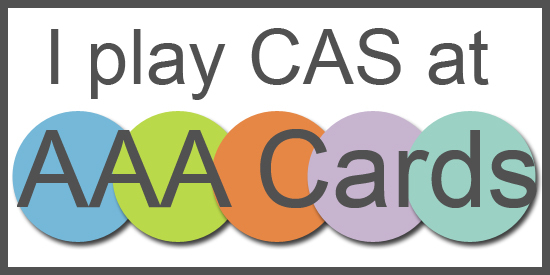 Awesome diecuts too! I think I will go have a cup right now! Beautiful stitching detail Danni~I love the added stripes and gorgeous floral halo!